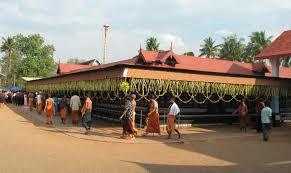 Here is Some Information about Kaviyoor Mahadeva Temple in Kaviyoor Kerala. Built in: Eighth century AD. 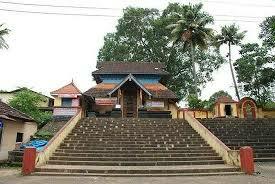 The Kaviyoor Mahadeva Temple is located in Kaviyoor P.O. Tiruvalla Dist: Pathanamthitta, Kerala.The temple was built in 8th century.Dedicated to Lord Shiva and Goddess Parvati, this temple is one of the most popular and significant Shiva Temple in Kerala.The temple is Built in a unique style of architecture, the temple is also popularly known as Thrikkaviyoor Mahadeva Temple. Kerala is a state of strict rituals and traditions that also form a very significant part of all temples including this ancient temple. A non-Hindu, other than the outer walls, cannot enter the temple. A strict dress code is to be followed and photography is absolutely prohibited. An annual festival organized during December/January and on hanuman Jayanti is celebrated here with great fervor. The temple is also referred to as the hanuman temple. 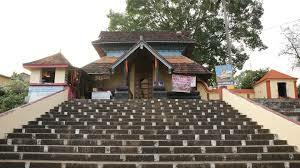 Other major temples located in the vicinity of the temple are Bhagavathy Temple, Sabarimala Sri Dharmasastha Temple, Kadamanitta Devi Temple, Valiyakoikal Temple, Aranmula Parthasarathy Temple and Sree Vallabha Temple. 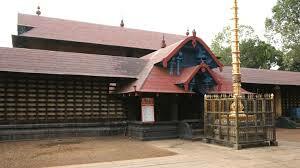 Important Siva Temple in Central Travancore known as Thrikkaviyoor Mahadevar Temple.It is believed to have been constructed in the early years of the 10th century. The temple is more than thousand years old.But the actual time of construction is not known,like any other old temples. Certainly, this temple belongs to the oldest period of strucural temples. Several historians, like Stella Kramrich has this opinion. The Perfect round Sreekovil with Sandhara style and its peculiar basment clarifies this opinion. And the "Kaviyoo Sasanaas" ,one of the oldest Sasanaas of AD has references to the gift that were offered to this temple There are Two inscriptions on the basement of the main sanctum dated 950 &amp; 951 AD.The Sasanaas are surely an addition, since they wer written after the temple is constructed. 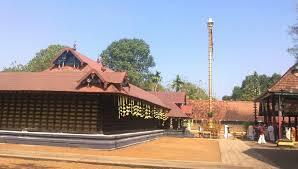 This is one of the famous major temples of Travancore Devaswam Board under Thiruvalla group of temples. By Road:From Kaviyoor Mahadevar Temple bus stop, one can board private and KSRTC buses to the nearby towns that include Thiruvalla, Kozhencherry, Changanacherry, and Mallappally. By Rail : The Nearest Railway station is Tiruvalla Railway Station. By Air : The Nearest Airport is Trivandrum & Cochin International Airport.